Individuals facing Los Angeles DUI charges would do well to take a lesson from the case of Ronald Searl, a Chicago area man recently arrested for drunk driving. Police stopped 54-year-old Searl on July 3 when they spotted him driving in the center turn lane of a city street. After smelling alcohol on his breath, officers administrated field sobriety tests and a breathalyzer, which revealed Searl’s blood alcohol content exceeded the legal limit. In addition to DUI charges, Searl received a citation for operating his vehicle in the wrong lane. Perhaps due to his “polite, cooperative and respectful” demeanor during the arrest process, police released him on his own recognizance. 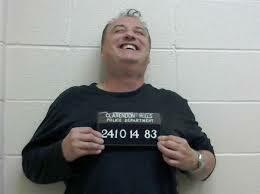 Although Searl may have behaved well throughout the booking process, his bizarre mug shot tells a different story. In the photo, Searl is visibly laughing and neglects to look at the camera. The lackadaisical response to his arrest may appear to some as an utter disregard for the seriousness of his offense. California law imposes serious penalties on individuals who commit DUI offenses, regardless of whether they cause accidents or injuries to others. First-time drunk drivers may receive jail time, fines, license suspensions, probation, and installation of interlock devices in their vehicles. Although no one should drink and drive, mistakes happen. Should you find yourself under arrest for driving with a prohibited blood alcohol content, cooperating with authorities and taking full responsibility for your actions affords you the best chance of a minimal sentence. Maintaining a serious demeanor – particularly in a mug shot – shows genuine remorse for unlawful behavior and may sway a judge in the accused’s favor. If you have been charged with DUI in Los Angeles, you may feel confident you’ll get off with a “slap on the wrist.” However, an experienced DUI attorney such as Michael Kraut helps defendants better understand the laws regarding their cases and achieve the best possible outcomes. To discuss your case, contact Kraut Law Group to set up a free consultation.